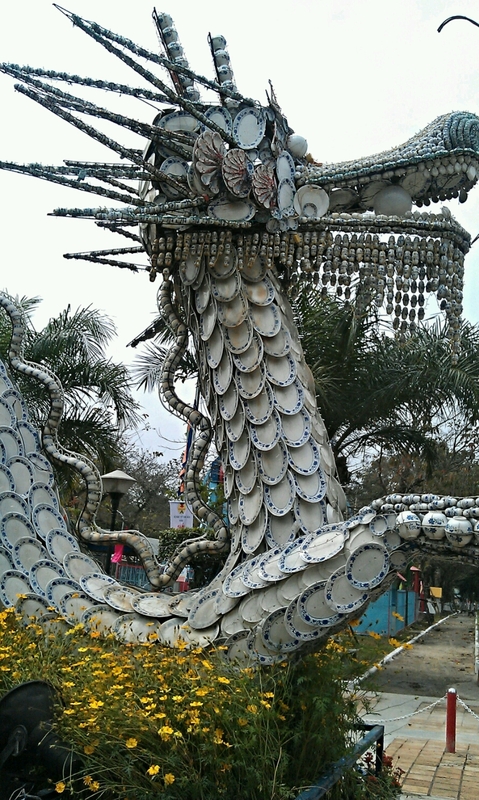 Although Danang is not in the guide books (I shall be writing to Lonely Planet) it is a great city & definitely worth a visit. We only wish we had stayed longer. Danang is situated midway up the country. We had booked a flight from Danang for our trip to Hanoi, so hence our initial interest in staying here. 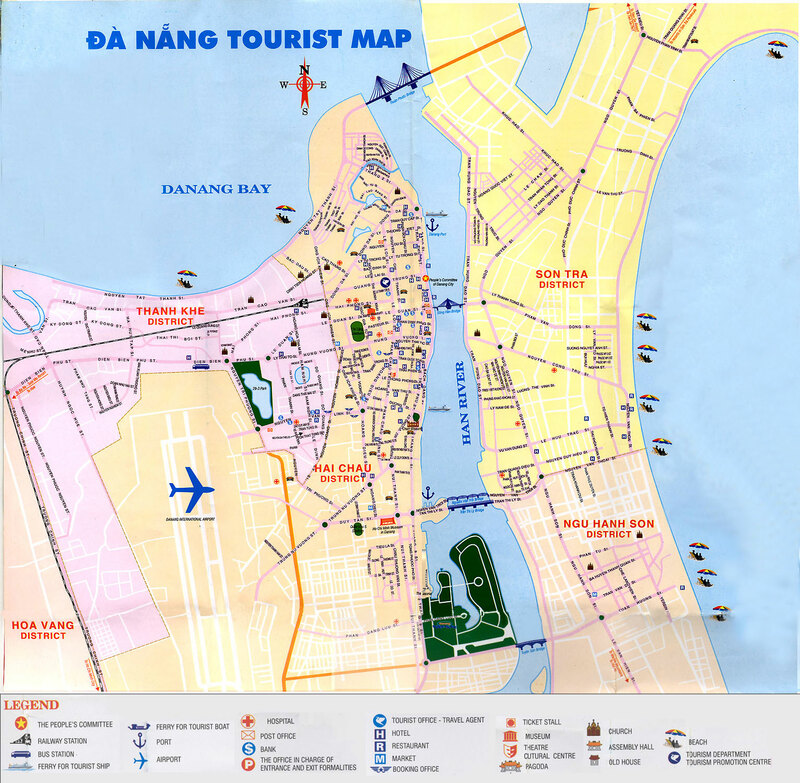 Danang has a history as a vital port town since ancient times & there are many ruins on the outskirts of the city. 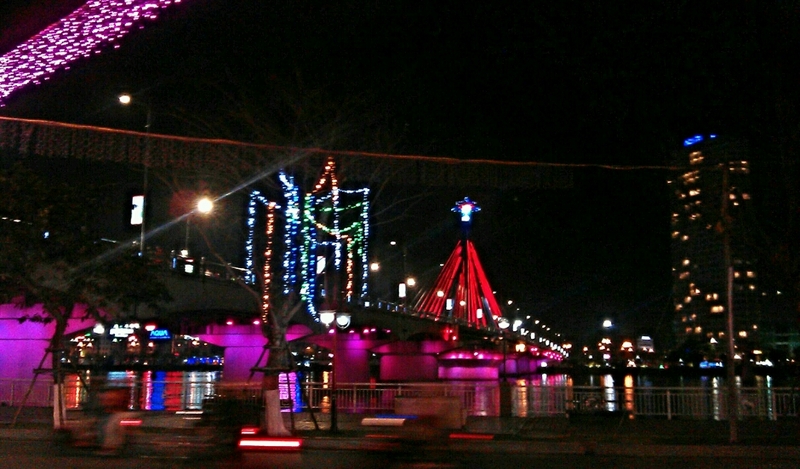 Situated on the Han River, which flows into the sea in the Danang Bay. During The Vietnam War, the airport was key, to both the South Vietnamese & American air forces. The port is still in use today & the fishing boats can be seen along with tourist boats making their way up & down the river. The city is a growing prosperous city, with a cosmopolitan skyline & hub for major businesses. Tourism seems fairly new here, so local life bustles around you. It is great to sit with locals & in the coffee ‘shops’ & noodle stalls around the town. There are a few Western based restaurants along the waterfront among the many Vietnamese coffee cafes. If you cross over the river you will find an endless stretch of beautiful beach. 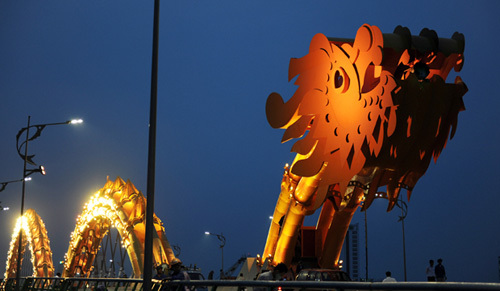 One of the two main bridges which can be seen from the cafes & bars on the waterfront the Dragon Bridge is spectacular. It won the Diamond Award in the 2014 Engineering Excellence Awards (EEA). We only had a day & half here, and wished we’d stayed longer.